This set of Pacemats completed by collection of this Beautiful Kitchen Decor! LOVE it! I LOVE All of my Mileskimball Purchases. Have been a faithful and satisfied customer for years and looking forward to many, many more years. Keep up the Great Job! 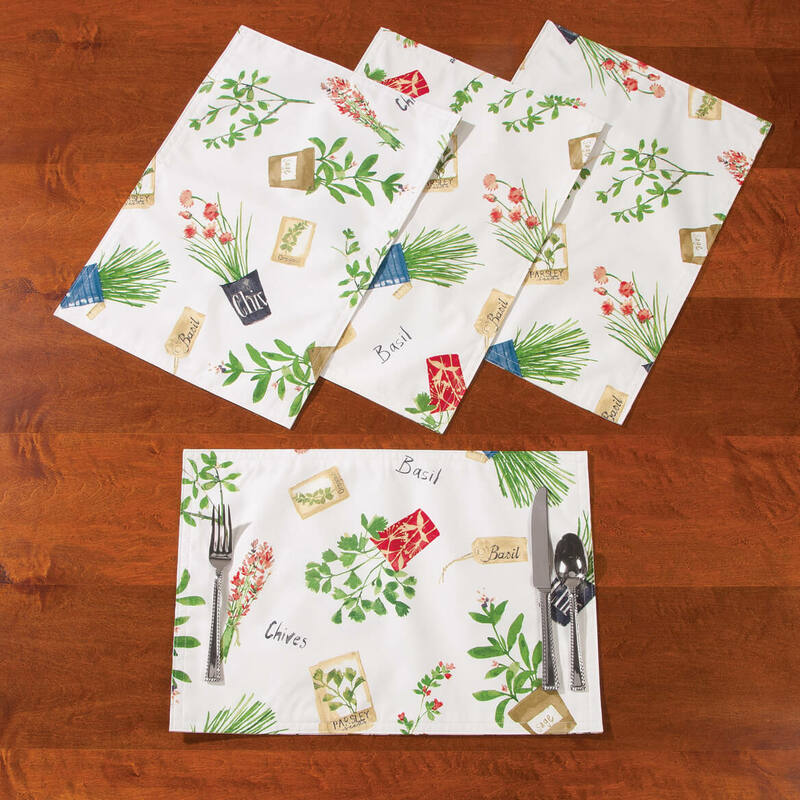 I love the print and look forward to using the placemats in spring. I just received these place mats and they look great on the table. I have not had a chance to wash them yet, so don't know how they will holdup in the laundry. But I would recommend them. The sale price was great for the set of 4. My husband thinks they are a little too large, but I think they are the right size. I'm really glad I purchased these mats I also got matching chairs cushions and table runner looks really nice on our dining table I have trouble finding cushions that fit my chairs like how big and thick the matching chairs cushions is.Thanks Miles Kimball. I like the pattern and the price. 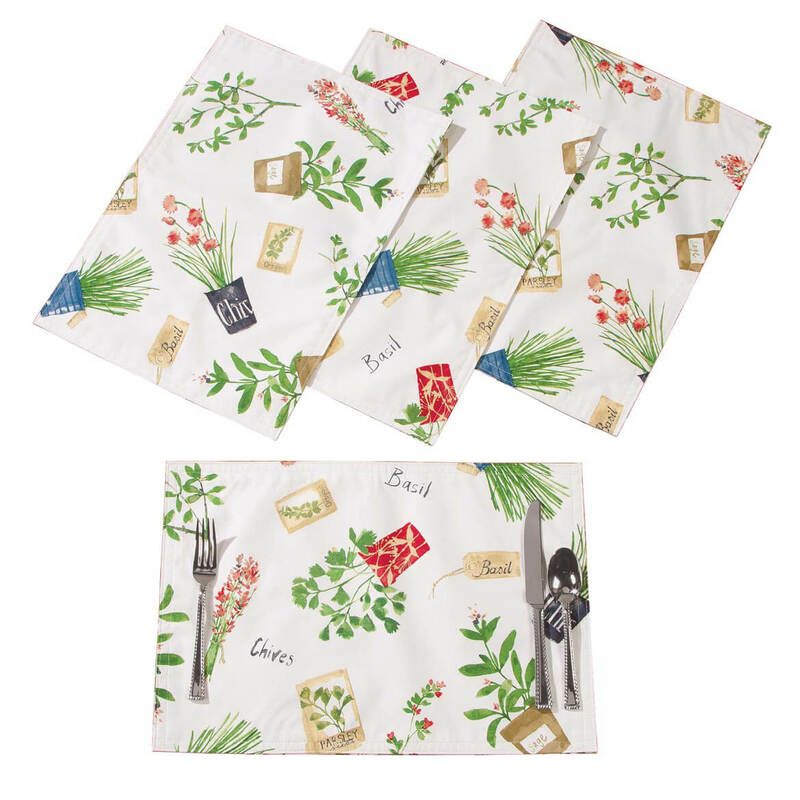 Already bought the chair cushions and they r so nice I just had to have these placemats to. I thought these were nice, so I purchased 2 sets of 4. Very pretty and original. Just like the way it looks. I brought the clear plastic placemats and they warped. Not happy with them. So I’m buying these. So pretty for the kitchen!!!! Looking for the oak ridge curtain valance on line? BEST ANSWER: I don't have the valance, but the place mats seem to be of good quality. I have not washed them yet to see how they hold un in the laundry as I just received the items. Hopefully this will help with your decision. I like the design. Think it would make a pretty window hanging. Thank you for your question. Unfortunately we do not carry that item. We hope this information will be of help to you. I purchased the runner, place mats, and chair cushions. Love them all, but don't remember seeing curtain valance.